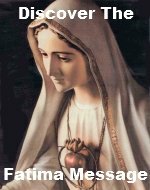 ...to our advertising sponsors and affiliates, we are able to maintain this website and continue to spread devotion to the Most Holy Rosary! The content on this website is personally written by the website owners who are comprised of a small group of individuals. This website may accept forms of cash advertising, sponsorship, paid insertions or other forms of compensation. Sponsored content, advertising space or posts may not always be identified as paid or sponsored content. If you would like to support our site by becoming one of our Sponsors and advertise on our site please use the form at the bottom of the page to send us a message! We do our best to suggest great Rosary and other Catholic resources. This is a win-win-win for you, our affiliates and us. You are being directed to wonderful products that will help support your daily Rosary devotion. Retailers of Catholic goods are being supported in their mission of promoting a Catholic culture in our homes. And we are able to keep this site running so we can meet our goal of encouraging and educating people like you about the Most Holy Rosary. Donations are another way for you to support this site and are greatly appreciated. Click here if you would like to donate and help keep our site operating. We receive financial compensation when you purchase products that are suggested on this website. However, we are not compensated to provide opinions or endorsements for any of these products and resources. 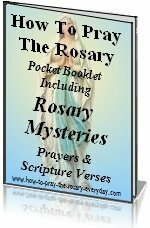 We share these products and resources with you and other visitors who comprise our Rosary Community in an effort to aid you in your spiritual development and encourage you in your devotion to the Rosary by providing links so you may purchase the product or resource, if you so choose. If you would like to support this website, please buy through our affiliate link(s)- we receive a commission that helps us keep this site going. If you prefer not to support us in this way, you may click directly to the site - we receive no compensation if you do it that way. We run third party advertisements through Google which are clearly identified as such. This website receives a small compensation when a visitor clicks on these advertisement links. We are not responsible for the content of these ads but do our utmost to weed out any inappropriate ads. If we miss one please accept our sincerest apologies and let us know so we can take corrective action by clicking here. We also allow links that are part of a pay per click advertising program called Infolinks. Infolinks is an In Text advertising service: they take my text and create links within it. If you hover with your mouse over these double underlined links, you will see a small dialog box containing advertisement related to the text marked. You can choose to either move the mouse away and go on with your browsing, or to press on the box and go to the ad page which is relevant to the text. Click here to learn more about Infolinks Double Underline Link Ads. We also have several affiliate merchants whose products are featured on this site. If you click on an ad banner, product link or text link and buy something from one of these merchants, we receive a small commission in return. None of these companies pay us in any other way. The compensation received will never influence the content, topics or articles found on this site. When we interview people or companies as our Rosary Promoter of the Month , this is done for the benefit of the Rosary Community, our visitors. These companies or persons do not compensate us for highlighting them. One Month Banner or Text Ad please inquire using the form below. Other Advertising Projects--please contact us! We can work a customized plan just for you! Contact us with the form below to arrange details. Don't forget, you can always click here to donate to this site. Apply to be interviewed as our Rosary Promoter of the Month.